As a creative professional, I never know where inspiration is going to come from. Today - thanks to an email from our friend Maggie of the Dinner with Maggie post - it's from a cake. 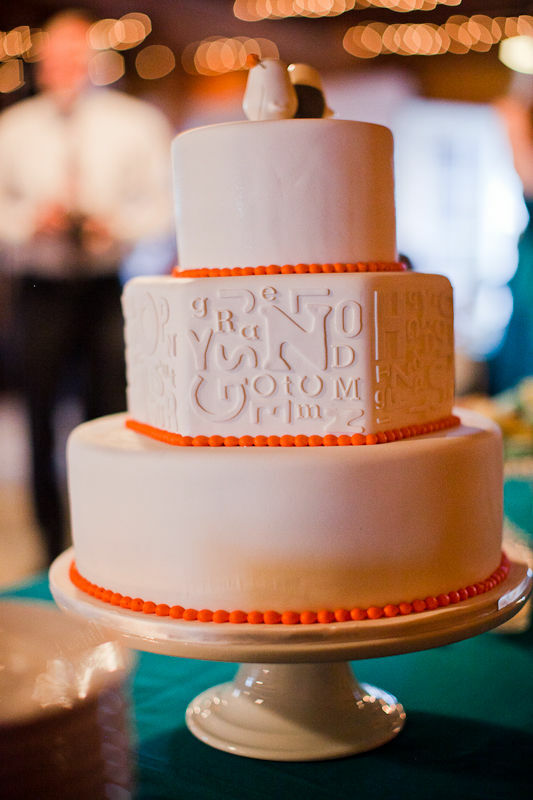 Not only is this cake from Intricate Icings stunning, but the orange details and various letters are just over the top perfect. This can easily be translated into any number of other event details including, but not limited to, the stationery. I'm a happy lady.